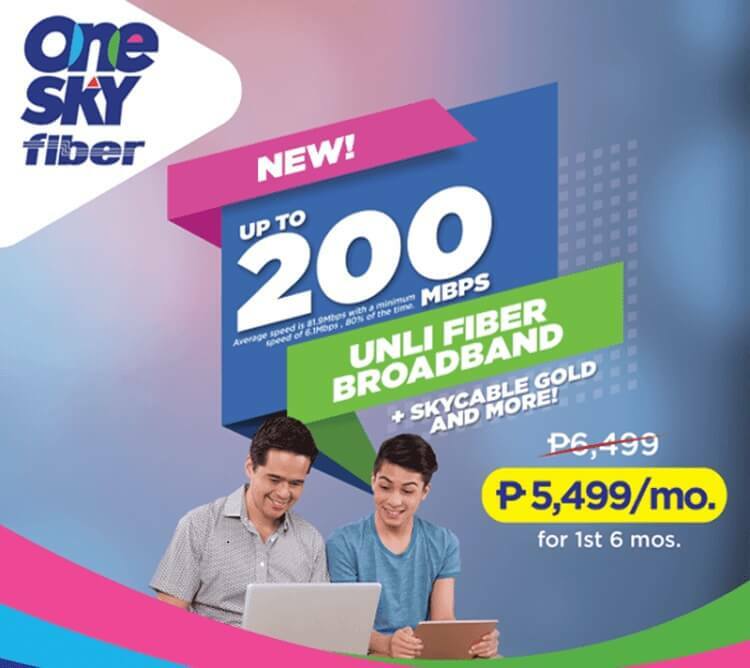 SKY has released a new Fiber broadband plan with speeds of up to 200Mbps – the One SKY Fiber 200Mbps. Consumers who will get the plan will enjoy an unlimited internet with up to 200Mbps bandwidth, and a premium SKYcable Gold with 22 HD and 95S SD channels. They will also have free access to SKY on Demand, including all local channels plus mirrored cable channels. “We’re on a mission to give Filipinos more options to experience ultra-high-speed fiber broadband bundled with premium content that they can get for a reasonable monthly service fee. This new One SKY Fiber plan is just one of the steps we’re taking to realize this goal,” Alan Supnet, SKY head of broadband products, addressed. Comes with free installation fee, the plan will be priced at just Php5,499 until December 31, 2018. Meanwhile, it will return to its original price of Php6,499 after the promo. The plan is now available in Ayala Alabang Village, BF Resort Village, Dasmarinas Village in Makati, and Forbes Park. What can you say? Share your thoughts with us!